Many people are turning to rental real estate as a way to supplement their incomes. While renting property sounds simple enough, there are some legal issues that you can face as a landlord. One such area is liability insurance. 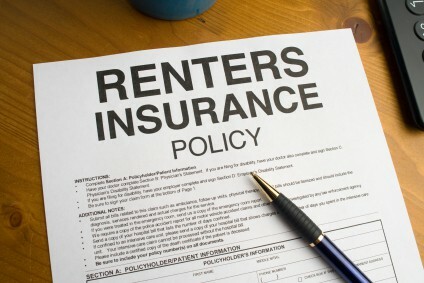 Most landlords own a homeowners policy on their rental house, but don’t require their tenants to have renters insurance. This can be a big problem for the landlord should any issues arise. Before we get into liability, let’s cover both renter’s insurance and homeowner’s insurance so there aren’t any misunderstandings. From the tenant’s viewpoint, renter’s insurance protects their personal property in the event of a loss. For example, if the house were to burn down, the tenant would most likely lose their clothing, furniture, electronics, etc. All of these are considered personal property and are covered in a renter’s insurance policy. The cost for such a policy is low. Personally, I’ve had policies that cover $50,000 worth of goods and cost me less than $100 per month. Many landlords are pushing and even requiring tenants to carry renter’s insurance. The reason for this is liability. Most renter’s policies cover liability coverage. For example, say I own a house and rent it to you and your friend comes over and slips and falls. If your friend sues for their medical payments to be covered, the renter’s insurance policy kicks in first before the landlord’s homeowner’s policy. The burden of liability is shifted from the landlord to the tenant. This allows for the landlord to potentially get a lower premium for his homeowner’s policy. In theory, this lower premium keeps the rental price from rising. Lower fixed costs for the landlord means he can rent the house for less and still make a profit. Of course, this is all in theory. Many insurance companies are the one’s pushing landlords to require tenants to have renter’s insurance. As of this writing there is nothing stopping a landlord from requiring this from a potential tenant. As a tenant, you want renter’s insurance. Not because of the liability issue, but for the peace of mind knowing that your personal property is protected. If you live in an apartment complex, there is no telling who your neighbors are letting into the building. Knowing that your belongings are protected should something bad happen will allow you to sleep at night. Understanding your insurance coverage as well as the landlords is imperative. Don’t just assume that the landlord has coverage that will protect you and your belongings. In many cases, they do not. By spending the few extra dollars each month to protect yourself will save you many potential headaches down the road. Just be sure to compare prices every year or so to make sure you are getting the best deal.